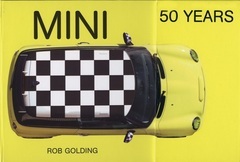 The MidCal group has been contacted by the publishing company Motorbooks who would like to offer the Club, MINI Cooper related books at 50% off. The way the discount works is that all books would be ordered in a batch and then shipped to one singular location. A catalog will be requested on behalf of any Club members who might be interested in placing an order. In the meantime, take a look at their website at Motorbooks.com.